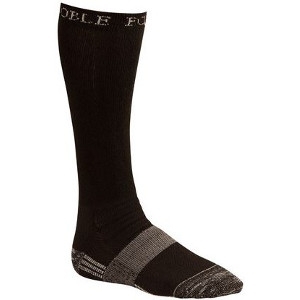 The Noble Equine® Best Dang Boot Sock™ is the perfect lightweight performance sock. Heel-to-toe padded protection and an arch compression band keeps you comfortable all day long. The prefect fit top keeps socks from sliding down, even for a quick change from rubber work boots to riding boots. Available in over the calf or crew lengths.